The Mariachi Heritage Foundation (MHF), the National Museum of Mexican Art and the City of Chicago present the first-ever Chicago Mariachi and Folklórico Festival featuring the best in mariachi and traditional Mexican dance performance as part of Millennium Park Presents. 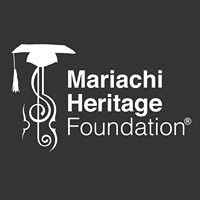 The Festival will feature extraordinary mariachi ensembles including the renowned Mariachi Sol de México de José Hernández (Los Angeles, CA), Mariachi Aztlán from the University of Texas Pan American (Edinberg, TX), and Mariachi Monumental de México (Chicago, IL). Four of Chicago’s leading Mexican dance companies will headline the folklórico dance performance, including the Academy of Mexican Dance and Music, Back of the Yards Ballet Folklórico, Mexican Dance Ensemble and the Mexican Folkloric Dance Company of Chicago. The Festival is free to the public and will take place at the Jay Pritzker Pavilion at Millennium Park located at 201 East Randolph Street (between Michigan and Columbus Avenue) on June 28, 2015 beginning at 3:00 pm. For more information visit millenniumpark.org or call (312) 742-1168.